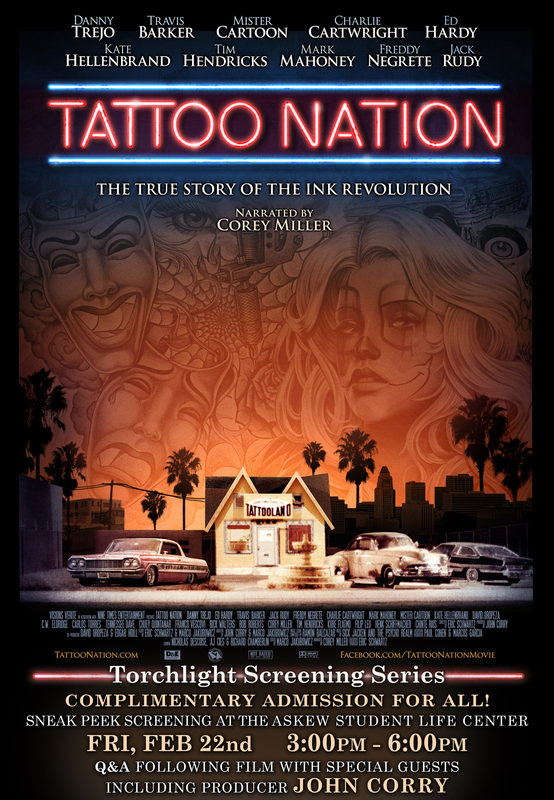 The Torchlight Screening Series presents a complimentary “sneak peek” screening of the documentary “Tattoo Nation” at the Askew Student Life Center; Friday, Feb 22 from 3:00PM to 6:00PM EST. There will be a post-screening conversation and Q&A with special guests including Los Angeles based producer, John Corry. The event is complimentary and open to all. Tallahassee tattoo artists are encouraged to showcase their work and will be most welcome.